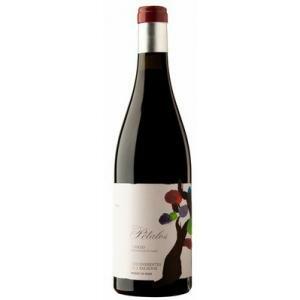 The 2016 Pétalos del Bierzo Magnum ($460.02) is a red wine made by Descendientes de J. Palacios from Bierzo made of jerez, godello, alicante bouschet and mencía of 2016 and shows an alcoholic strength of 14%. The 2016 Pétalos del Bierzo Magnum is the ideal red to combine with semi-cured cheese and lamb. At Uvinum, this red wine scores an average rate of 4 of 5 points and has also robert parker: 92. The red and violet edges were visible for me. It has currant scents. Raspberry flavour. The smell of violets, cherry and licorice was noticeable. Cool and pleasant. Opened it at a couples' night out. Bright cherry colour, high layer. Nice cherry smell. Perfect amount of acidity. This Bierzo is a good time killer while waiting for the food. Toasty and tobacco aromas. It has a dense texture. Petalos Magnum 2012, more than decent wine. 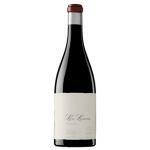 If you want to buy 2016 Pétalos del Bierzo Magnum, at Uvinum you will find the best prices for Bierzo red wine. Get it at Uvinum, quick and 100% safe via any device. We're the only site in Europe with more than 59.000 products for sale becoming this way the leading marketplace to sell wine, beer, and spirits in Europe with more than 38.000 satisfied customers.